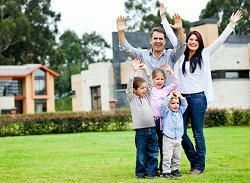 If you are in the market for a new house, you have probably encountered a lot of difficulties already. Finding the right house to move in, checking out the neighbourhood, arranging mortgage, organizing modifications or renovations, signing the lease and every other detail that needs to be worked out before the big move finally happens. At the end of it all, when it comes to moving day, you don’t need the added anxiety over arranging the removal in Brunswick Park. In such cases, it might be a good idea to recruit professional help to ensure that the move goes as stress-free and damage-free as possible. If you are looking for a removal company in Brunswick Park, N11 look no further than Moving Service. We have carefully selected a range of moving services that will cater to all your needs when you are moving home. Not only that, our professionals are trained in addressing all removal challenges while taking utmost care of your personal belongings. So whether you have to disassemble and pack that cabinet or carry it down the stairs, leave it to our experienced crew to handle the situation. We are one of the best available Brunswick Park removal services; if you don’t believe us, arrange a meeting or call us at 020 8746 4402 and let us show you why. The area, which covers the postcode district N11, has lately thrived to include modern public and private housing estates in what was primarily an industrial district. It is located in the district of the London Borough of Barnet, north of New Southgate and south of Oakleigh Park. The place is well connected to nearby underground stations which are serviced by the Northern and Picadilly lines of the Underground network as well as the Overground railways. Most of the houses in this district are semi-detached or terraced houses, but with the help of a resourceful estate agent, you might also come across decent apartment homes or renovated lofts. The area has a varied socio-economic profile but is mostly occupied by families and retired persons, making it an amiable environment to bring up children in. The area's Primary and Nursery School, located at the northwest corner of the park and St. Andrew the Apostle Greek Orthodox School, among many others, afford good schooling in the area, a factor that you must consider, especially if you have or intend to have children. Within the suburb, you will also find a recreation ground with sports field and tennis courts and a number of restaurants, pubs, cafes, take-away centres, supermarkets and grocery stores in the vicinity. The location is ideal for enjoying a quite, undisturbed family life and is recommended for its spacious living. As you begin a new life here, let us help you begin the journey by offering you a safe and speedy move at an affordable price. Moving Service is equipped to cater all removal and delivery needs in Brunswick Park. We can assist you with the move from scratch, that includes an inspection of the property that needs to be moved, determining the vehicle size and removals team in Brunswick Park that would be needed to facilitate the move, providing equipments to assist in heavy lifting and other packaging supplies, door-to-door delivery and help with loading and unloading, if you don’t want to do that yourself. We will even clean up after unpacking for you! If you do not want to avail of the entire packaging and removal service, you can also choose from a range of flexible services that may include hiring a man with a van, or requesting a team for assistance with the move. Our customer friendly staff will be glad to help you chalk out the removal services in Brunswick Park, N11 you may need, just give us a call on 020 8746 4402 and let us find a way to make your house removals quick and . First rate moving company, to be sure. The movers arrived on time, by 10 a.m., and had the flat cleared quickly, and were soon on their way to my new abode in Brunswick Park! Thanks Moving Service!